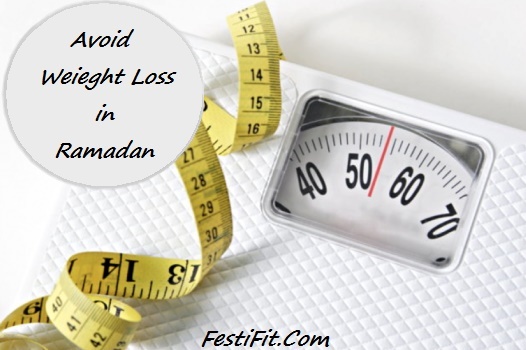 While some people gain weight during the holy month of Ramadan, others struggle to keep their weight down to the normal range. In fact, fasting could be a challenge for maintaining a healthy body weight. Especially, if your food intake is not enough to meet the minimum calorie requirement for basic needs of the body and control your fitness in Ramzan. IF YOU WORRY ABOUT WEIGHT LOSS DURING THE FAST? Do not worry, unless your weight is at the limit of normal or less than normal value. You can tell if you are underweight by calculating your BMI. To do this, divide your weight by the square of your height; if you get a number of 18.5 or less, then your weight is below normal and you should avoid further weight loss. Quite simply, if your height is 1.64m, instead of what would 1.64×1.64, which is 2.69. Now divide your weight, 50 kg, for example 2.6 and you get 18.5. This is your BMI. And go underneath is not recommended. Ask your Iftar in two stages: Some people may get full just eating salad and soup, which results have just a few main course. This usually ends with insufficient caloric intake and may lead to weight loss. Instead, you should try to have your Iftar meal in two sessions. have first dates, soup and salad. Then go for the Maghreb prayer and return to your main course. This way you give your stomach enough time to prepare the main course. Good to Remember: If you feel full quickly during Ramadan, so be sure to drink water between meals, not with them. Having one glass at the start of Iftar, wait a few minutes and enjoy your meal. The rest (6-7 glasses of water or fluids) can be divided during hours non-fasting, but only 2 hours after eating. Enhance your dishes with healthy calories: Sprinkle a generous amount of olive oil to your salad, or chop some olives on your oven, low fat cheese sambosa. You can also add some nuts to your salads and desserts Ramadan. Having an extra nutritious snack between your Iftar and Suhour: When you’re out for the evening, mankoushe have a glass of laban, a hummus bowl (Balila) with a cocktail of fruit juice drink or just a cheese sandwich a glass of milk. Remember to take your candy after this snack so you fill up on nutritious foods first. Make sure you have your Suhour: It will be very difficult to meet your nutritional needs with a single meal. That is why it is absolutely essential to have a good Suhour provide your body with the vital extra calories to your well-being, and to prevent unwanted weight loss. For example, you may have a foul mudammas bowl sprinkled with a generous amount of olive oil, a little brown bread Arabic bread, olives, a glass of milk and a fruit salad bowl of fruit syrup. In conclusion, there are many ways to increase your calories and prevent weight loss during this month. You can do this by adding nutrient dense ingredients and healthy calories in the foods you eat. These include healthy oils, nuts, avocados and olives. Also remember to stay physically active during this month as this will help stimulate your appetite.